Four employees from a Shropshire law firm have been officially recognised for their dedication and commitment to the practice. 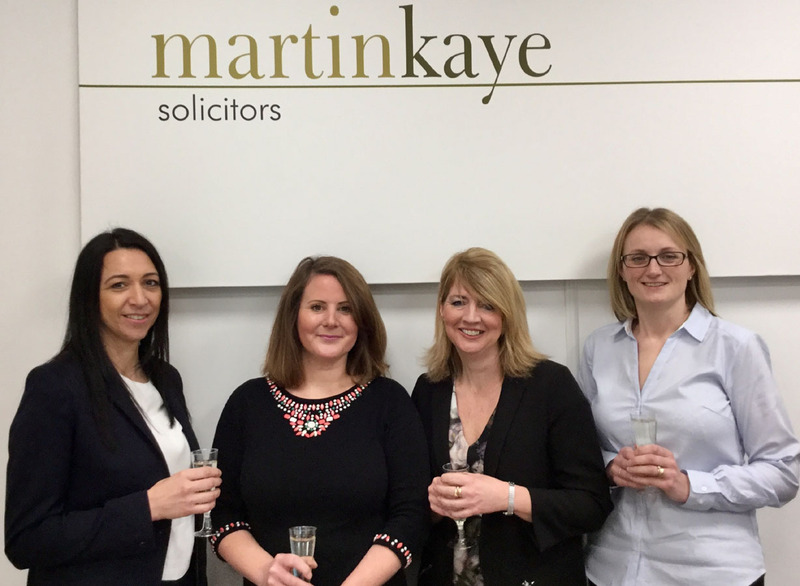 Suzanne Lees, Emma Palmer, Clare Pitchford and Alison Thornton are all employed by Martin-Kaye Solicitors in Euston Way, in Telford, and they’ve received long service awards from the board. Senior partner Graham Davies said their loyal support had been invaluable in the years they had worked for the firm, and he wanted to express the gratitude of the partners and colleagues for all their efforts. “We’re a very close-knit team here at Martin-Kaye and we believe it’s crucial to recognise the dedication of our staff, and all the work they put in to help ensure the practice runs smoothly and efficiently. Suzanne Lees works in the accounts team and received her award for 20 years’ service; Emma Palmer is the employment team manager who has also worked for the firm for two decades; Clare Pitchford is a legal advisor in the employment team who has also reached her 20th anniversary; and Alison Thornton, who is a solicitor in the personal injury team, received a 15-year award. Martin-Kaye Solicitors began in 1985 with just three members of staff and in the decades that have followed, the independent practice has become one of the largest legal firms practising in the Midlands region. “We pride ourselves on giving our employees the opportunity to continuously develop their skills and to build a strong career in the legal world,” said Mr Davies.